Call A to Z Entertainment, Inc. today for free information about how to hire or book country musician and singer Travis Tritt. 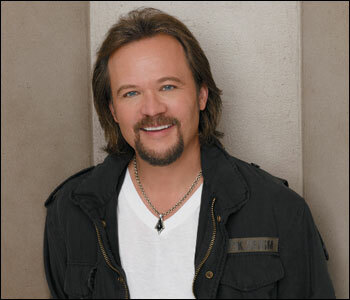 We are your best booking agent and top talent agency for booking country star Travis Tritt! We book or help you hire any live professional entertainment you want, to include – country musicians, country singers, and country cover and tribute bands. The end result of that conversation is The Storm, Tritt’s widely-praised 2007 release. Tritt and Jackson teamed up to create a powerhouse collection of songs that emphasize the irresistible soul side of Tritt’s singing. It’s a card that has always been in Tritt’s stylistic deck, but one that has often been overlooked by listeners unfamiliar with the deep musical links between country and R&B, particularly in the South. And in Jackson, Tritt found the ideal collaborator. Before he gained acclaim for his role as a judge on “American Idol,”Jackson had played bass with artists ranging from Aretha Franklin to Journey. Demonstrating that type of range is precisely the aim of The Storm. We can help you book or hire any country musician, country music singer, or band. We can provide you first-rate entertainers, musicians, bands, or singers of any type. Please call 1-888-655-4575 today. We are not the exclusive agency for any artist on this site.